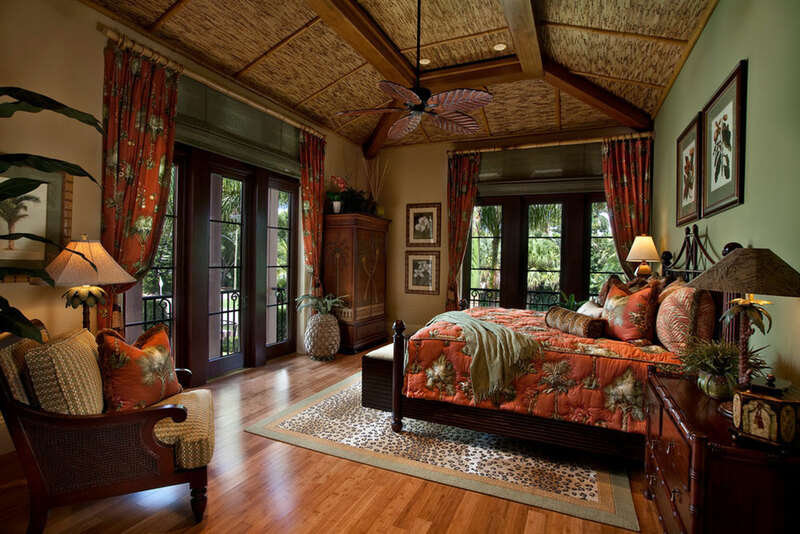 Tropical Bedroom Design Ideas – What could be more relaxing than a tropical oasis in the comfort of your bedroom? Tropical bedroom decor is perfect for all-year-long summers, because it will make you feel warm even during coldest winter days. Sometimes, all it takes to do a dramatic shift towards tropical atmosphere is to hang a canopy bed in the middles of the room. Canopy beds carry the exotic vibe in their essence, and can be combined very easily due to their neutral color. 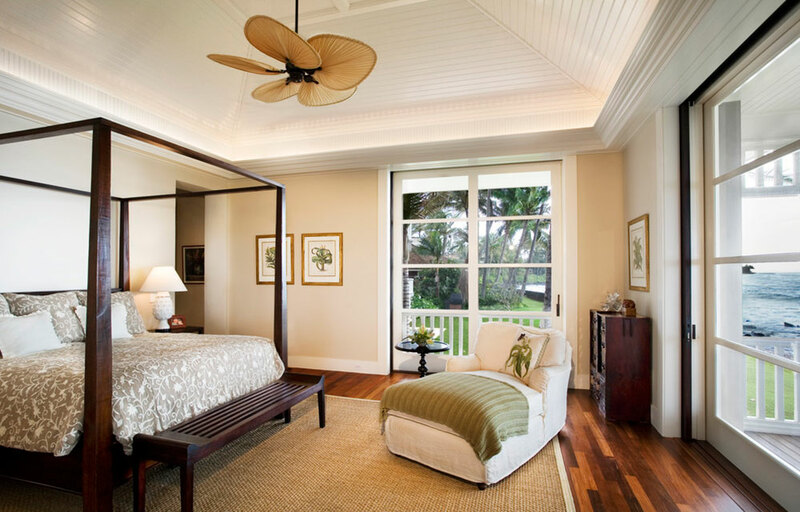 White and dull ceilings will destroy your tropical vibe, instead of adding whatever benefit to it. Believe it or not, ceilings look amazing with exotic paintings, something like puffy clouds in the morning sky, or palm intersected sunsets. These two colors are compulsory for tropical solutions, as they remind of two essential natural elements: plants and water. That’s why they are always welcomed in tropical bedrooms, usually applied in seamless transitions from soft to acid shades. You can apply them on your accessories, or even paint the walls with them. You decide! 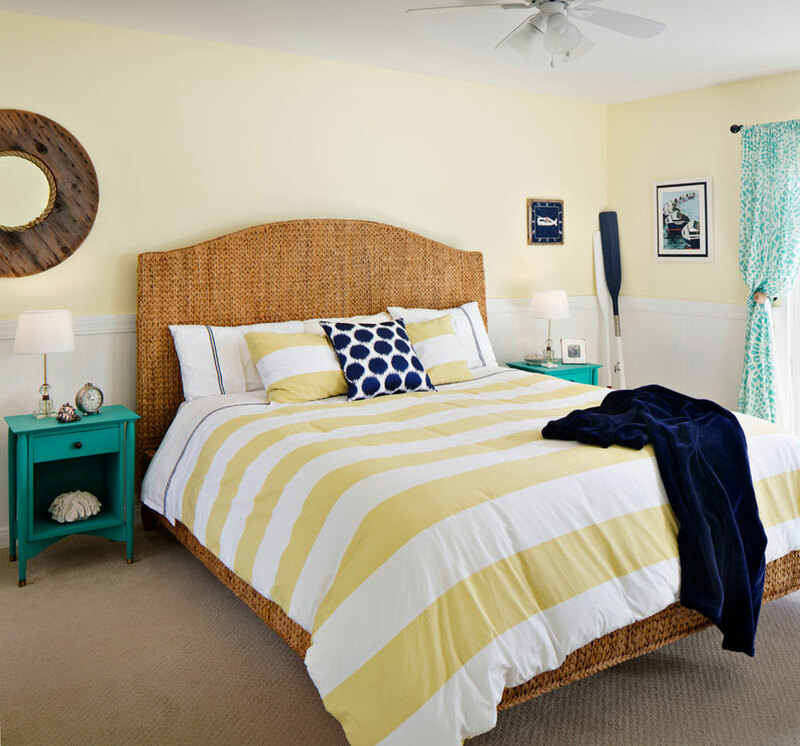 We advise you to use bamboo, driftwood, or wicker in order to make the room feel more natural. You are even allowed to paint some of your favorite furniture with bright and positive colors, even if their original look is far more realistic. The best way to go is to leave them uncovered, but you can do some temporary coverage with grass and matchstick blinds-these cost nothing, but have amazing power to make your place look more tropical. A home without tropical accessories is not a tropical home. 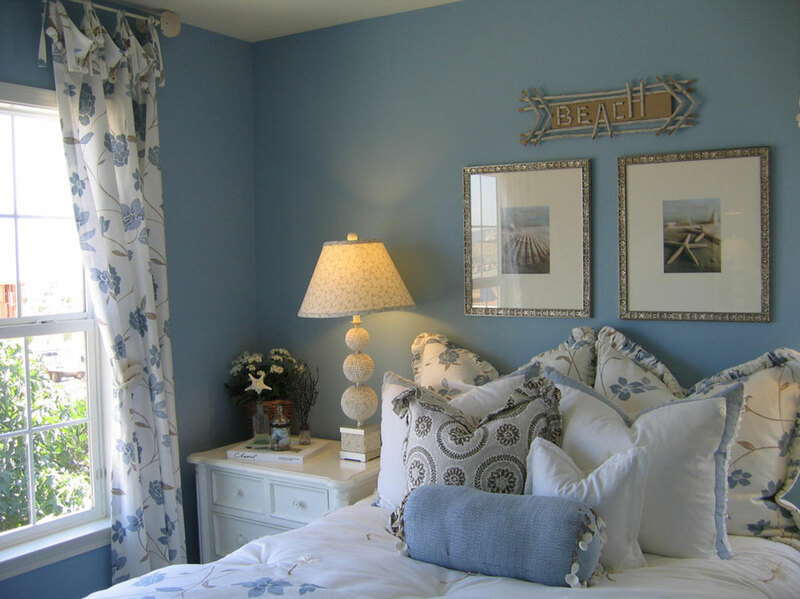 We’re sure that you have plenty of cute ideas on how to decorate in a tropical fashion, but the truth is that you can use every element that makes you feel good: romantic candles, serene sea stars, tropical flowers, and pattered pillows are just few synonyms of a comfy bedroom atmosphere. If you want your bedroom to be ‘originally tropical’ you’ll need all sorts of tropical-themed items to decorate with. Besides of the compulsory artwork, we recommend seashells, sand jars, wooden or metal figurines.